Soil: Chalky with gravel and clay. Vinification & Aging: The grapes were whole cluster pressed and the juice was settled and racked off the lees into stainless steel tanks. Fermentation took 10 – 12 days under temperature controls, after which the wine was aged in stainless steel tanks for 9 months. A light filtration was followed by bottling and an additional 6-8 months bottle aging prior to release. Description: Straw-colored with greenish hints, typical delicate and pleasant perfume of leaves of peach tree, nutmeg, acacia. Taste soft, balanced and consistent taste. 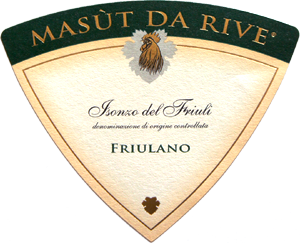 It moves from a spicy rusticity to a sweetness of ripe fruit according to the type of the grape ripening. Food Pairing: Excellent with appetizers, with fish starters, spring omelettes, risotto with herbs, white meat.